Good day kids! Hope you are having a good start to the new year this January. Remember to keep yourself warm and don’t forget to wear comfortable clothes when going out of the house, especially if you are going out to play. When it comes to playing, one of the fun activities you can look forward to is the Easter egg painting activity. 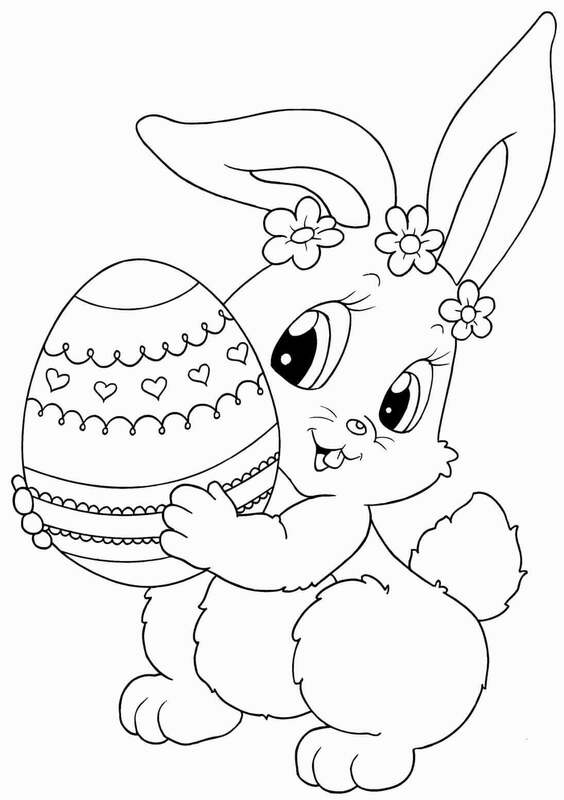 To let you know more about it, we have brought for you today a fun collection of Easter egg coloring pages printable. Easter eggs are also known as called Paschal eggs. They are used as gifts on Easter, which celebrates the resurrection of Jesus Christ three days after his crucifixion. The eggs symbolize the empty tomb after his resurrection. Traditionally chicken eggs are used to celebrate by painting and decorating them in various designs. However, several other versions have also become popular like the chocolate eggs and artificial eggs made of wood or other material. 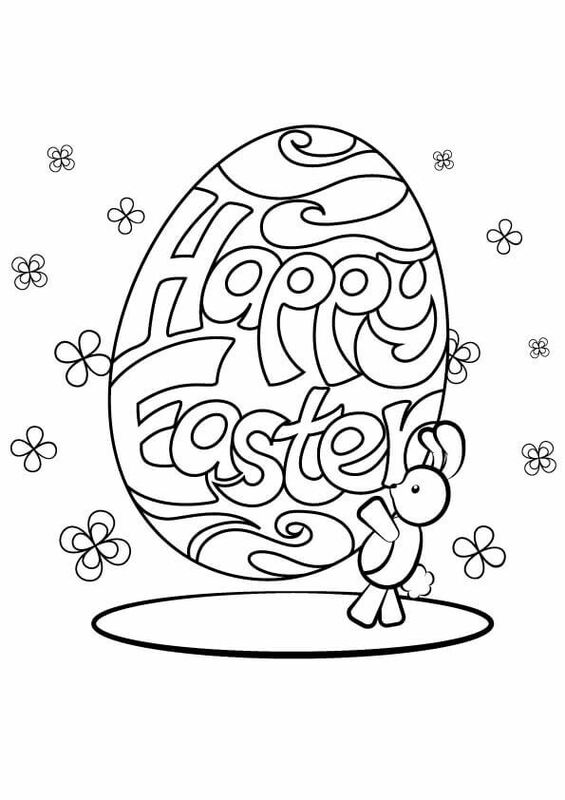 Let’s check out all the different decorations and designs with this collection of Easter egg coloring sheets to print. Starting off today’s collection are these lovely birds appreciating the blooming flowers painted on the Easter egg. Doesn’t it remind you of spring season? In a couple of months, spring will be here. 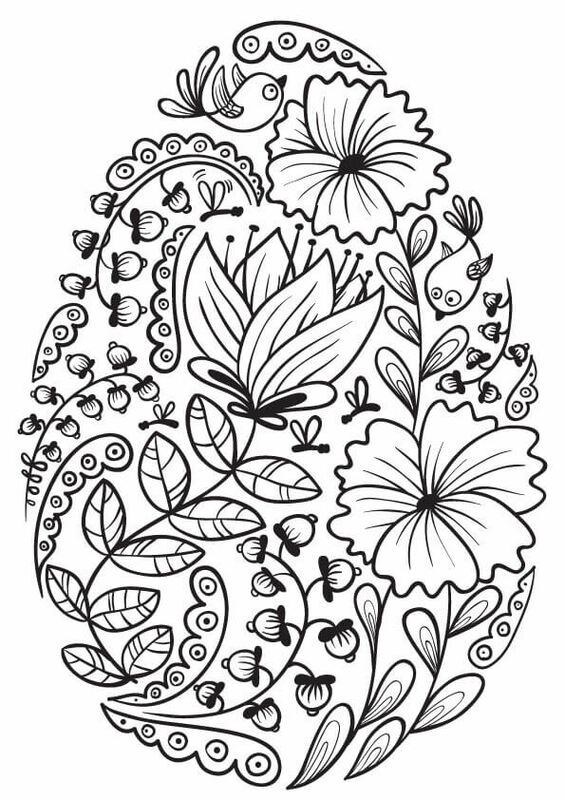 Until then you can print this coloring page and look forward to the season of blossoms as you color this illustration. Look at this cute and adorable bunny, holding up the Easter egg she just finished painting. She seems to be truly talented. You can reward her for her efforts and hard work by printing this page and giving her some wonderful colors as a show of your appreciation. If the other bunny had completed her painting, this little fellow is still working hard to finish all the Easter eggs he is making this year. Even with such workload, he still has a smile on his face. If you love what you are doing, you will enjoy doing it even when it gets tough. 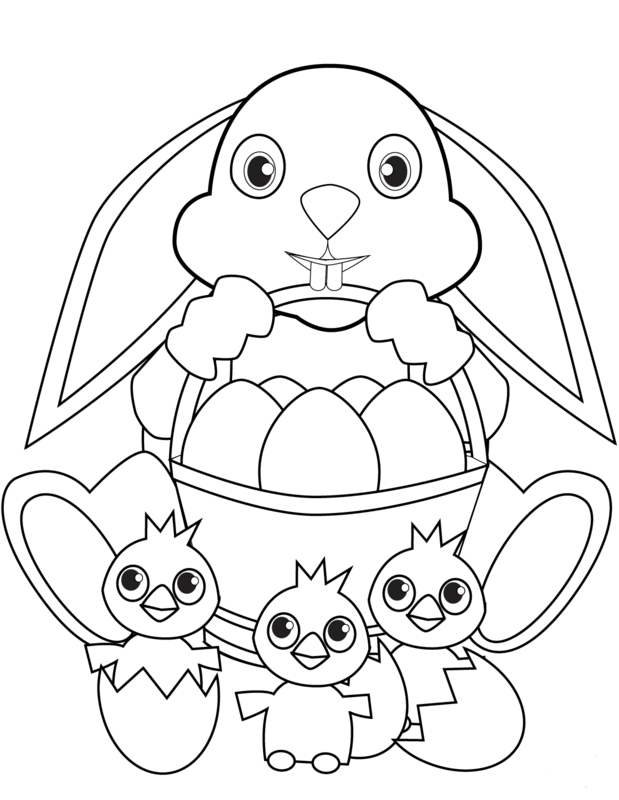 Just like how you are having fun working on this collection of Easter eggs coloring pages. Seems like some of the eggs this bunny was planning to decorate and paint, have hatched. It must have been such a surprise for him. These tiny chicks are so happy to be out of their eggshells. Much like how you feel when you finally get out of the classroom to head back home. Join in their happiness by filling this page with joyful colors. Being kept in the warmth in the sun, this painted Easter egg seems to have incubated and hatched. But it is not just one chick. Two chicks are coming out of the egg. These are twin chicks. One of them has a piece of the eggshell on its head like a crown. Print this page and color this interesting illustration with adorable colors. This must bring back memories of the Easter egg baskets your family decorated, full of brilliantly painted Easter eggs. The basket has some amazingly painted eggs. Admiring the beauty of this Easter egg basket is the curious bunny and the little chick. 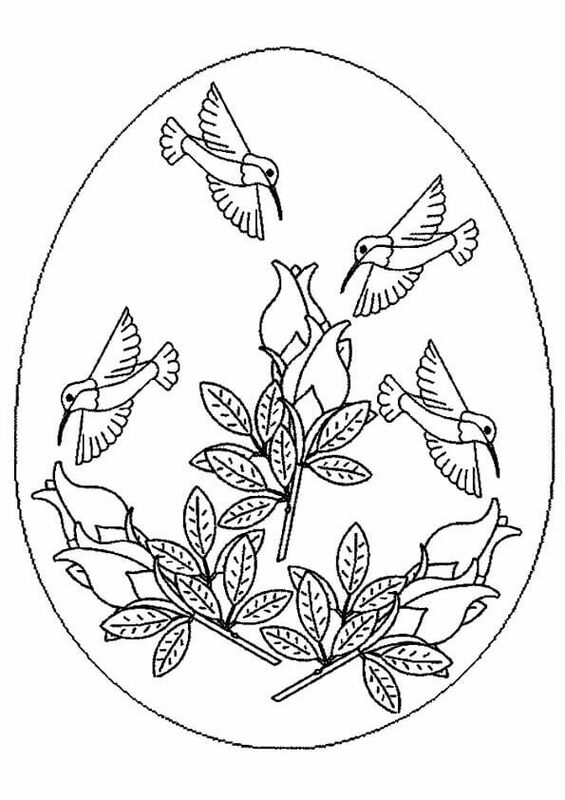 Bring out the details of this illustration by printing and coloring this page. 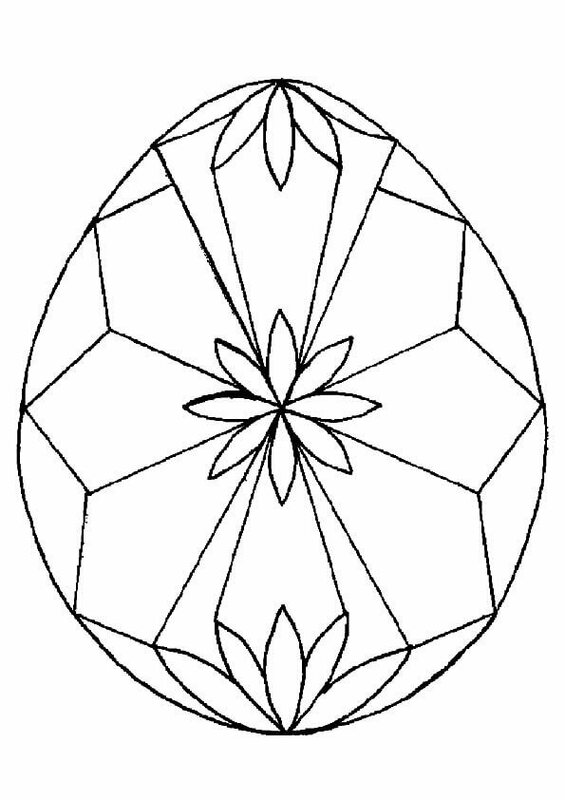 Taking inspiration from geometry class, this Easter egg looks like a diamond-shaped jeweled egg with geometrical patterns painted over it. You can help complete the decoration by printing and filling in different colors for each segment. Having finished decorating and painting their Easter Egg, this bunny family is proudly showcasing it to all the visitors. Print this page and do your best to fill it with spectacular colors, so you too can proudly show it to your family and friends. Where there is an Easter egg in sight, you will surely find a bunny nearby. 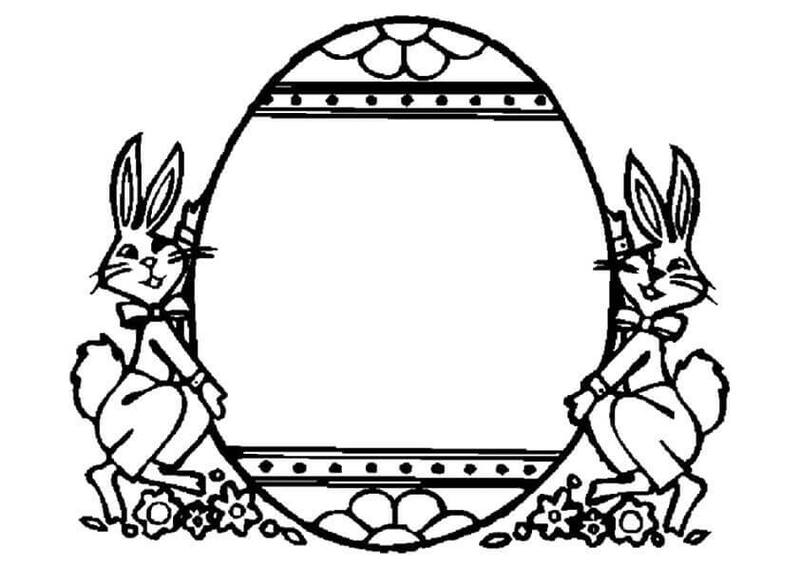 Illustrating the same philosophy is this artwork of the Easter egg and the bunny. You can bring this artwork to life with your realistic coloring skills. Here’s another elegantly crafted Easter egg basket. It looks so beautiful, doesn’t it? But it is still missing an important element. Yes, you guessed it right. It needs colors to add to its beauty. Print this coloring page and give this illustration some lively colors. Now that you have now seen and colored two wonderfully arranged and crafted Easter egg baskets, you can now create one of your own. From the basket to the bow and especially the eggs, give all these elements aesthetic design and patterns. Sixteen artistically decorated and painted Easter eggs await your impeccable coloring skills. 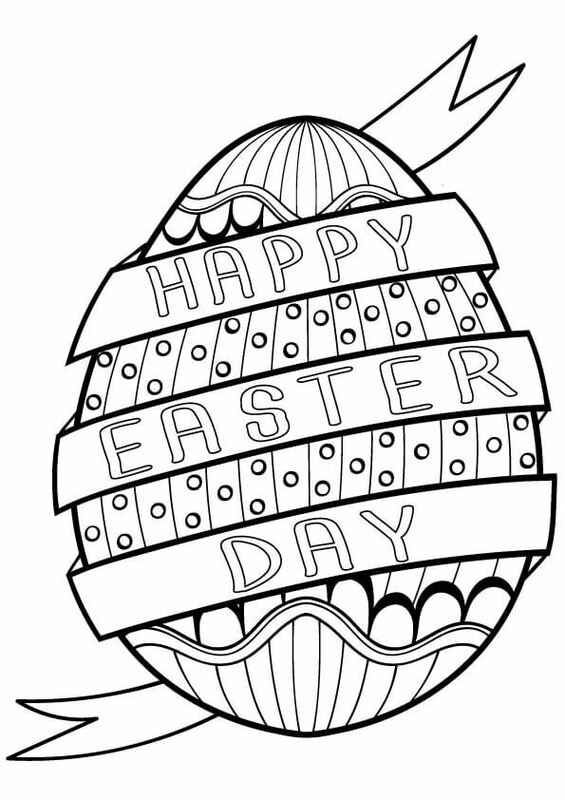 Just like the way each one of these Easter eggs has been designed with intricate details, you can print this page and carefully add color to each one of them. 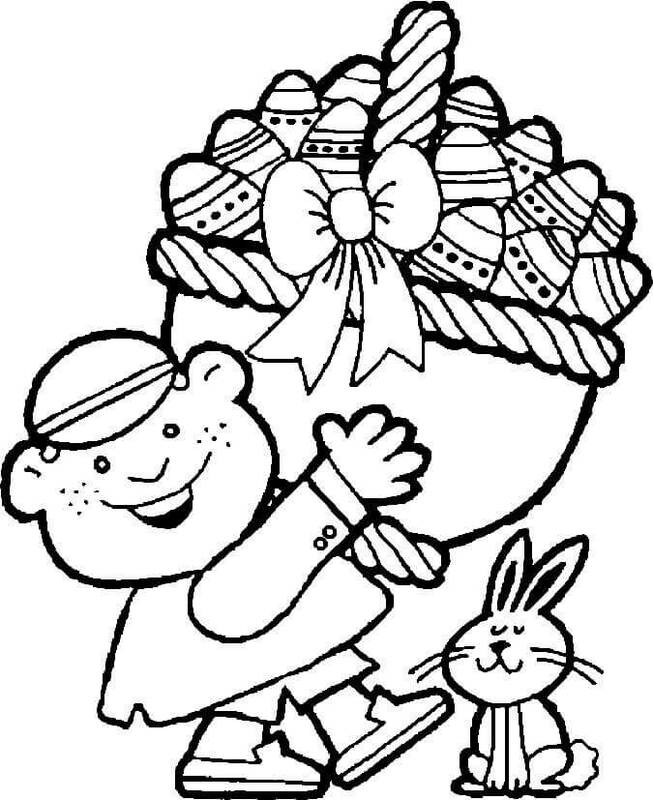 That’s a huge Easter egg basket this small boy is carrying. Even the bunny is impressed by his dedication to making this event simply memorable. He seems to have painted and decorated a whole lot of Easter eggs on his own. Print this page and let the colors bring out the joy illustrated here. 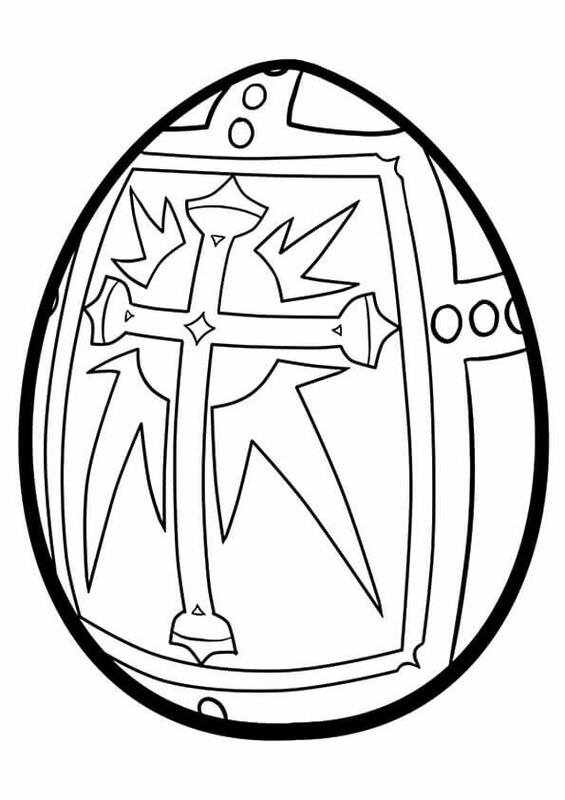 If you are not very confident with your coloring skills, this Easter egg is the one for you. 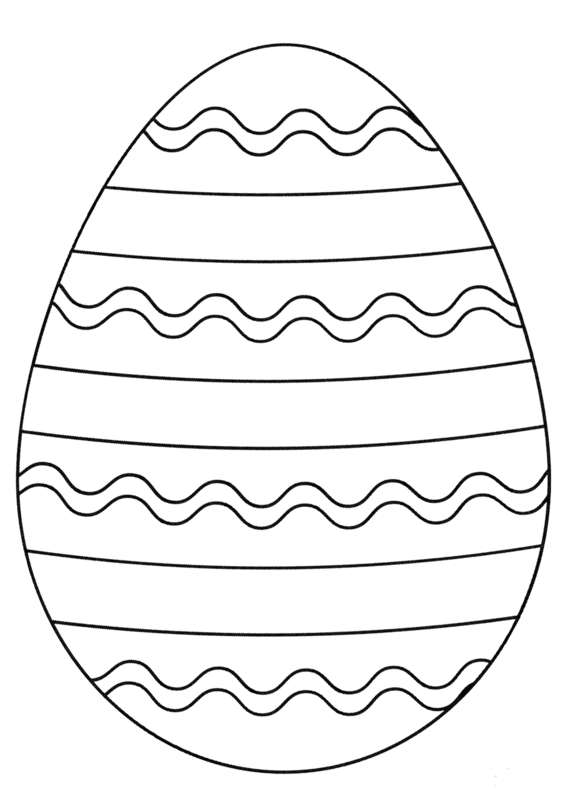 Simply print this page and add different colors for the wavy lines and the straight lines drawn on the egg. 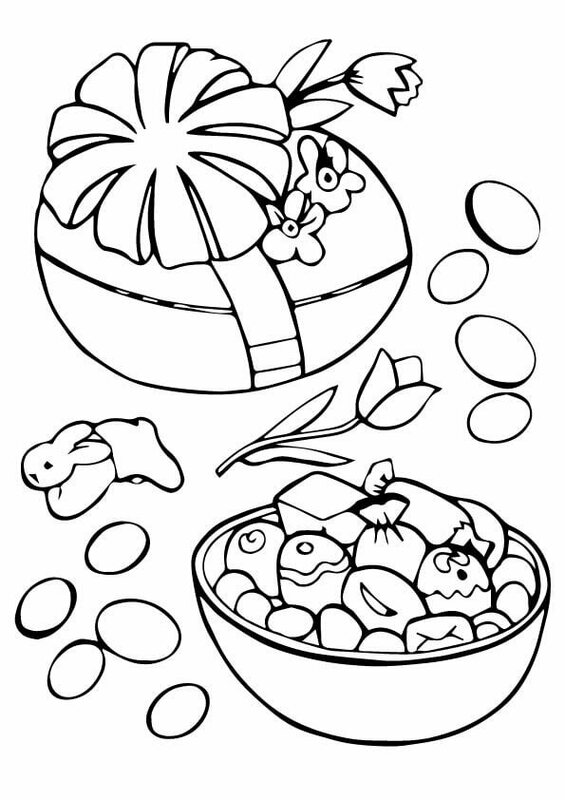 The decoration on this coloring page gives a floral tribute to the Easter egg. The swirling vines and broad petals of the flower, there is so much to appreciate in this well-decorated Easter egg. Print this page and work magic with your colors on this illustration. 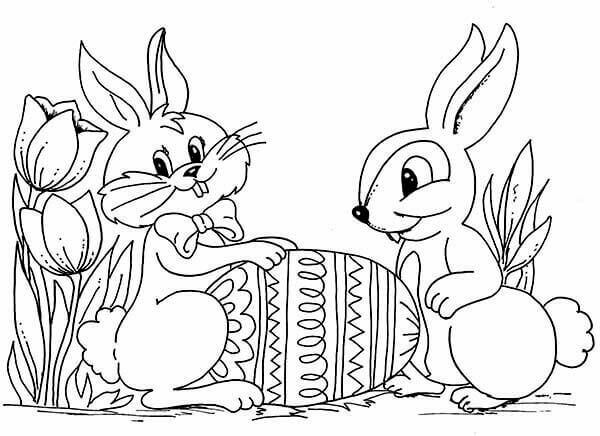 These two bunnies have specially brought for you an Easter Egg template they created themselves. One of them worked on the top and the other on the bottom half. The remainder of the design they have left up to you. 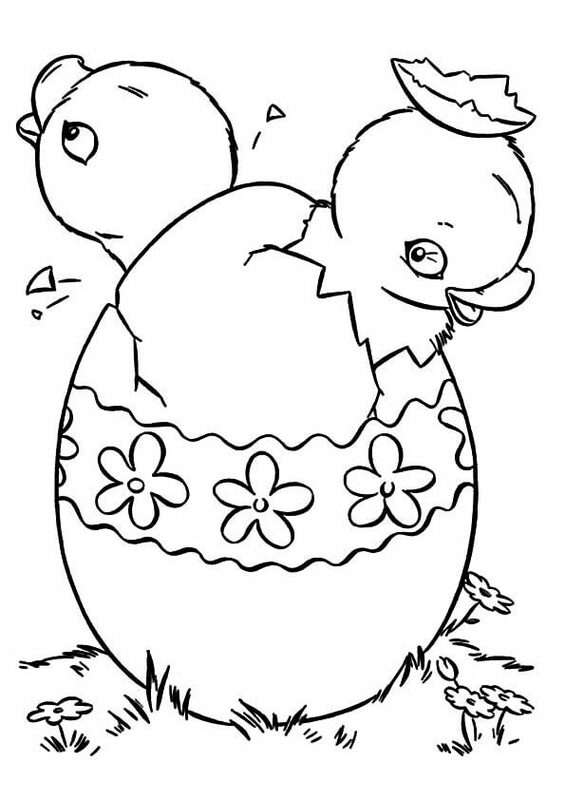 So, get a printout of this coloring page and create your own decoration for this Easter egg. This delicious looking chocolate Easter egg has been beautifully baked with the cavity cleverly used to fill in a variety of mouth-watering candies. Looking at this illustration, you must be craving to have some of these candies, aren’t you? First, print and color this page in scrumptious details and then treat yourself with something sweet. This Easter Egg features another beautiful floral decoration. Add some bright colors to the flowers. You can color the identical patterns drawn on the top and bottom halves in same colors. Print this page and start coloring this illustration. This bunny has made herself a bird’s nest and collected Easter eggs with different designs to fill the nest. You can send across warm wishes by printing and coloring this illustration in heartwarming colors. 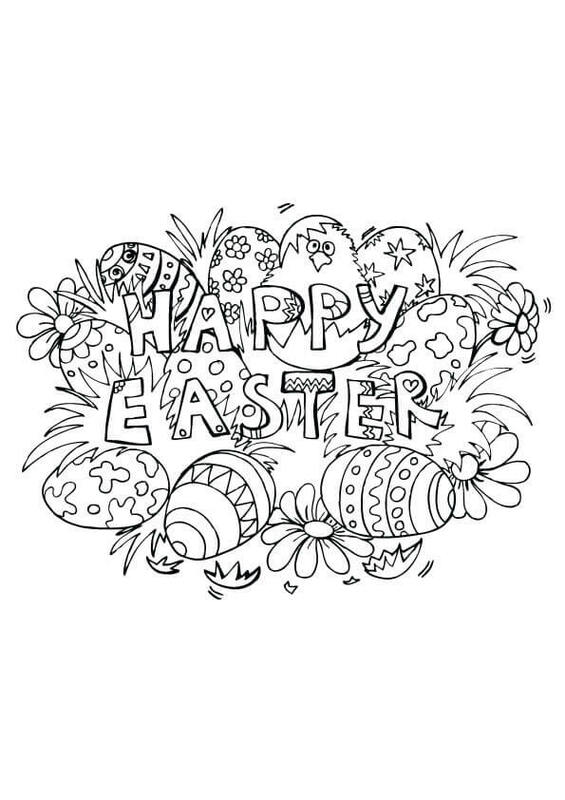 When you wish someone for Easter, whether it’s your family or friends, you can make it special with this coloring page. 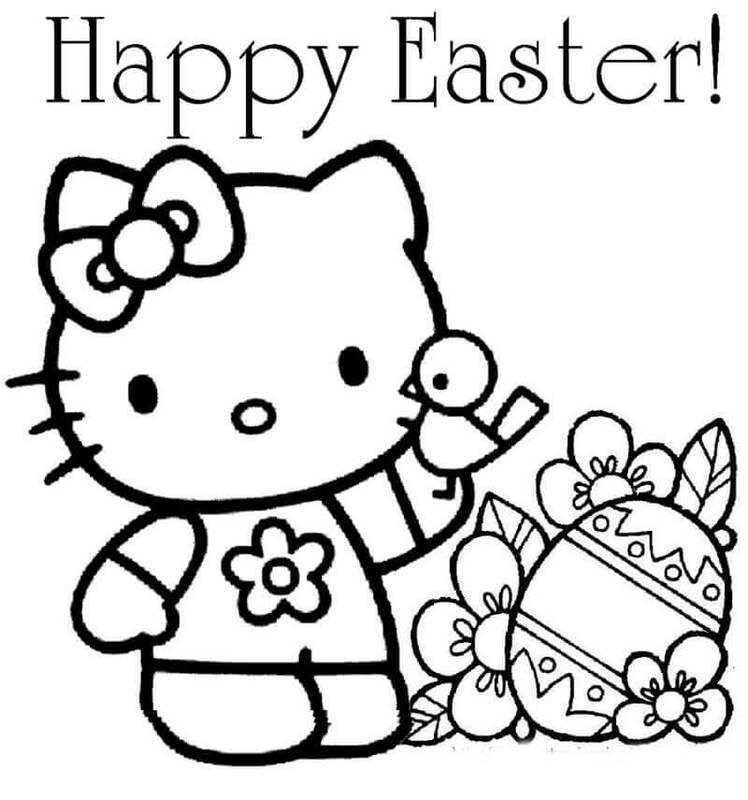 Turn this page with “Happy Easter Day” greeting into a card by simply printing and coloring it. You can write your message at the back or turn it into a folded card. Vying for your attention to turn it into a greeting card is this illustration as well. Once you are done printing and coloring the page, make a card out of the one that appeals to your more. Or simply make two cards. One for your family and one for your friends. 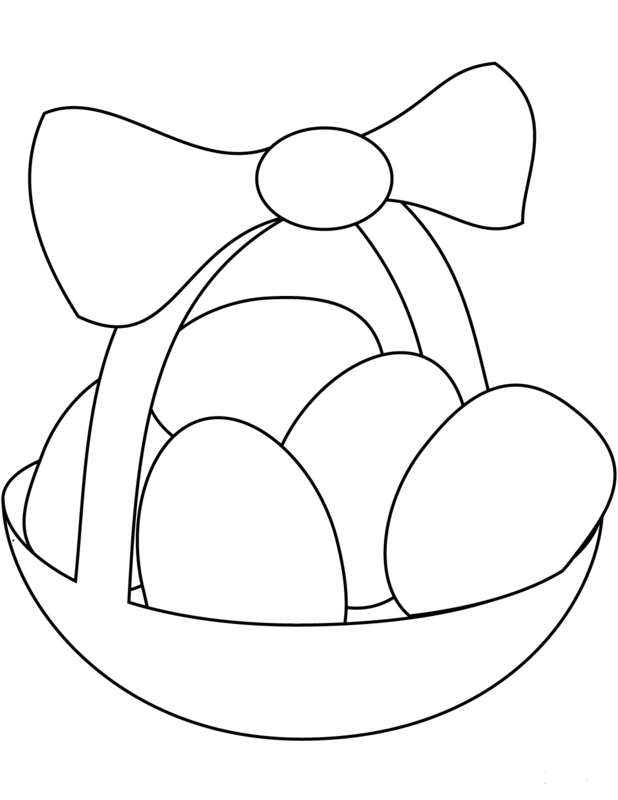 You can get inspired for your own Easter egg decorations by looking at this illustration. 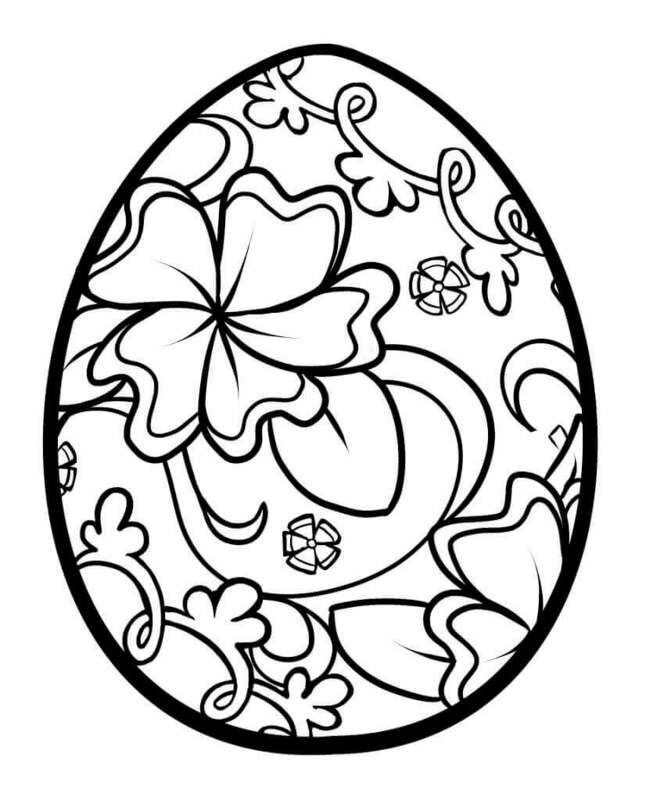 Each one of the Easter eggs on this coloring page come with a different design. Print this page and fill them all in a variety of colors. If you like what you see, you can use the same design during Easter eggs decoration in your own family. 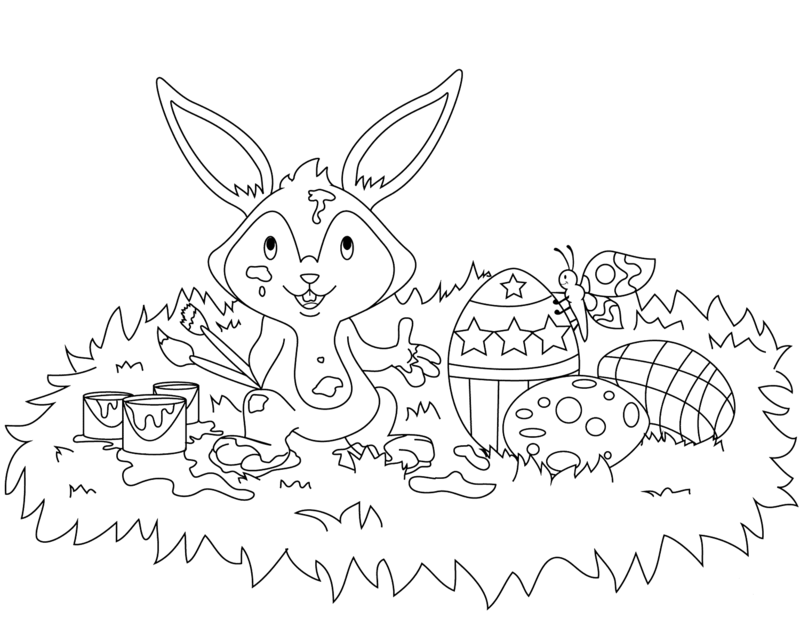 Adding a splash of fun to the task of painting and decorating the Easter eggs, is this funny illustration on this coloring page. You can see the joy in his expression as he welcomes everyone during Easter. Show your fun side too by filling this page with some hilarious color combinations. This Easter egg features a kaleidoscopic mandala inspired design painted on it. You can print this page and color each layer in different colors to bring out the intricacies of the design. 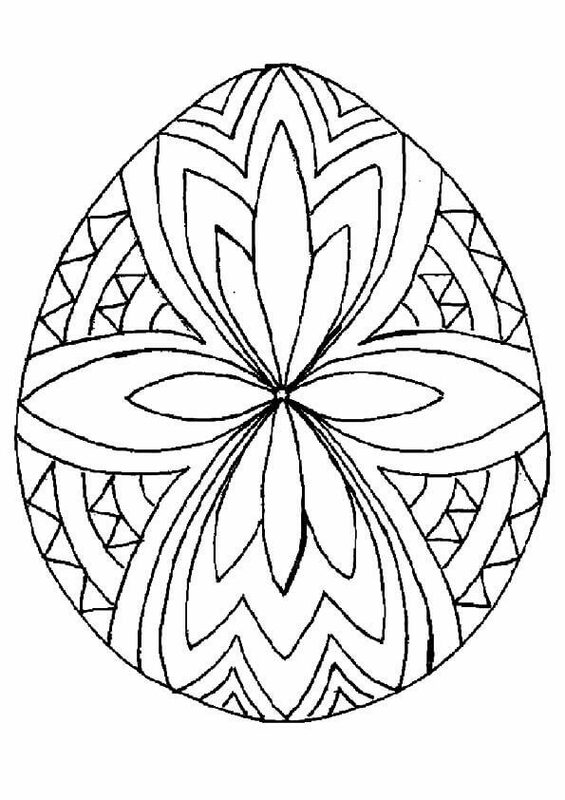 If you are feeling inspired maybe you can create a mandala inspired Easter egg of your own when the time comes. The “Happy Easter” wishes written on the page here has merged with the background and the Easter eggs in this illustration. You can help sort this out by doing a simple thing. Print this page and color the letters in bold bright colors to help stand out. Hello, Kitty is here again after decorating Christmas stockings in December. This time she has prepared her special Easter egg decoration. Show your appreciation for her diligent work and for always taking part in all festivities with enthusiasm. Print this page and reward her with brilliant colors. Incorporating floral designs in an artful manner, this floral decoration on the Easter egg makes a grand statement. After you print this page and you can proceed to carefully color this illustration. You can either go for uniform colors throughout or opt for different colors for all three flowers in the design. Disney’s Olaf is all about fun and laughter. No wonder he is here bringing you some Easter fun by pretending to have hatched from the Easter egg. But he hasn’t come empty-handed. He has brought his own Easter egg basket. Let him know you appreciate his fun nature by printing and coloring this page. 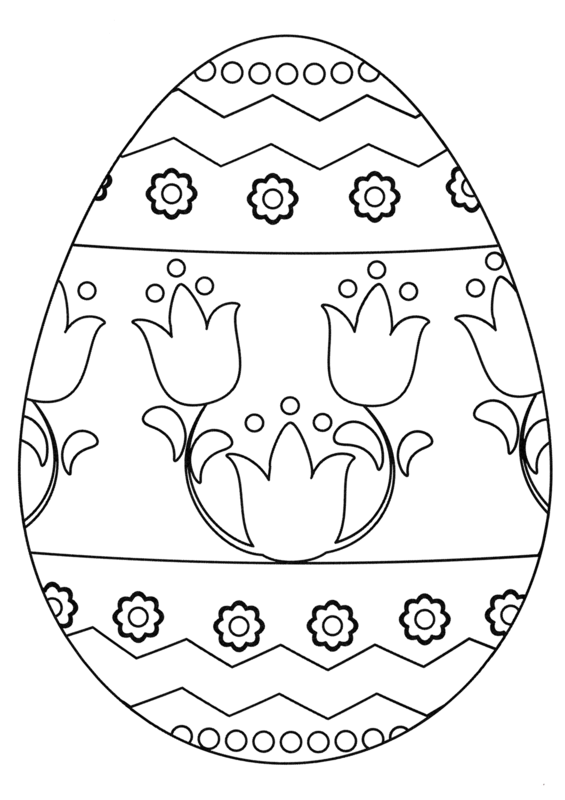 This coloring page presents a traditional Ukrainian Easter egg design. It is called “pysanka”, which is derived from the verb “pysaty”, meaning “to inscribe”. Pysanka Easter egg is different from the usual ones as the designs are written or inscribed with beeswax, instead of being painted on the egg. Print this page and color this illustration in unique details. As Easter is observed to celebrate the resurrection of Jesus, an Easter egg decoration would be incomplete without some religious elements. This illustration features an Easter egg with a religious motif. 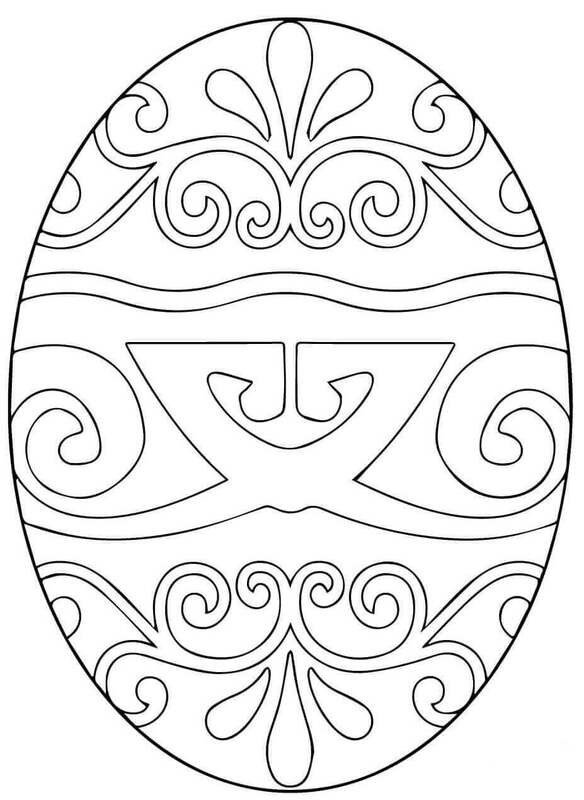 You can print this page and use colors of a traditionally religious tone to decorate the egg. 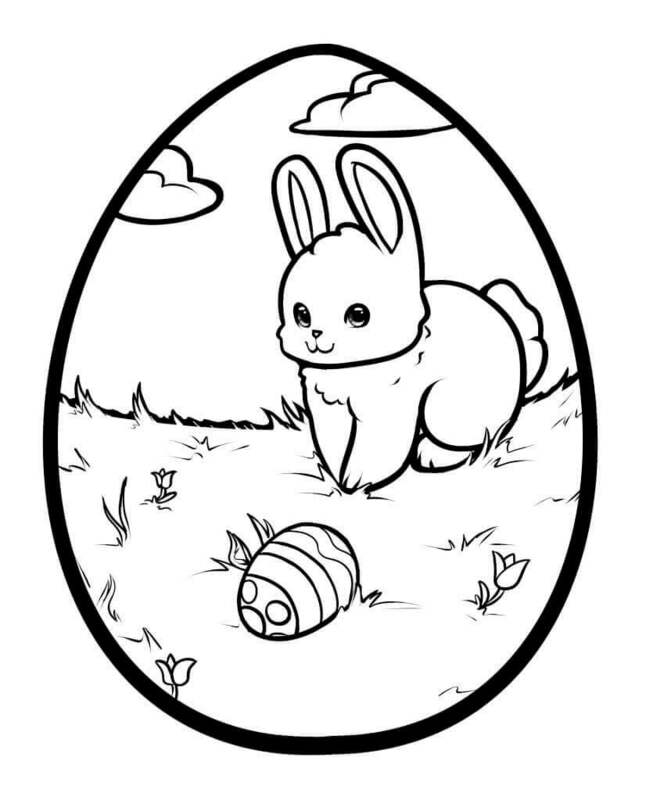 On that religious note, we have now come to the end of this collection of Easter egg coloring pages to print. Hope going through this collection has made you excited about the Easter egg decorations. 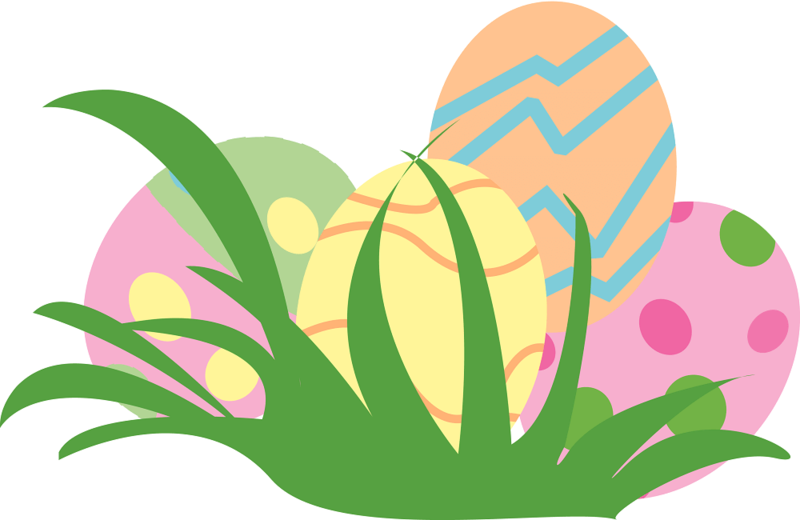 You can look forward to painting your own Easter eggs and participate in some fun games, like the egg hunt, where children will have to search and find decorated Easter eggs hidden away somewhere. Prizes are given according to a number of eggs collected. 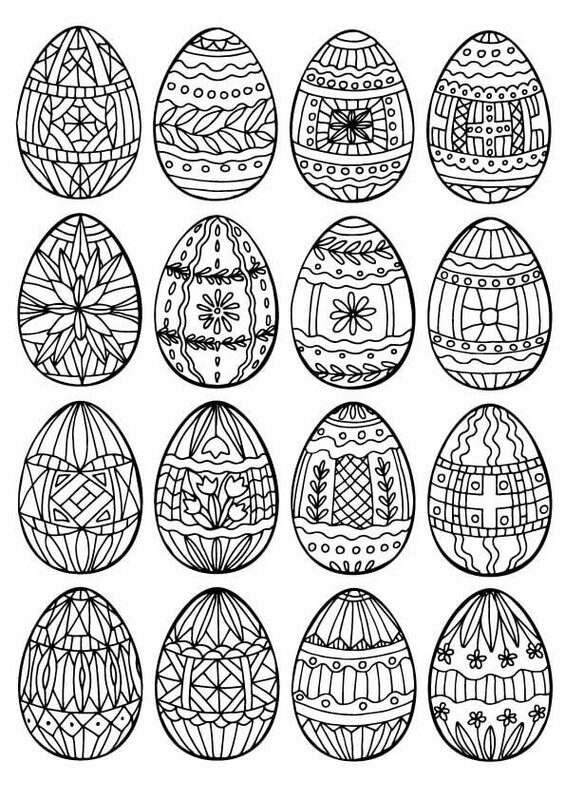 In the meantime, you can print this collection and practice your Easter egg coloring skill.